Price dependent on location and length of event. Performance time ranges from 2 hours to 3 hours. A 2 1/2 hour performance (including 20 min break) will be £250 A three hour performance (over the space of 4 hours) will be £350 A three hour performance (over the space of 4 hours) + 1 hour DJ set £400 A three hour performance (over the space of 4 hours) + 2 hour DJ set £425 Any additional DJ sets are £25 an hour. (e.g. 5 hours DJ on top of a three hour performance would be £500) DJ sets include lights, lasers and a fog machine. 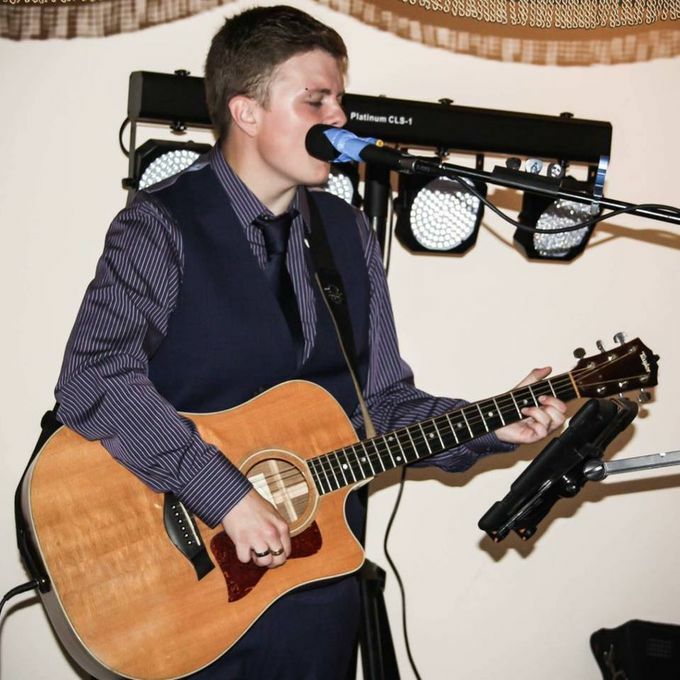 Singer and Guitarist that performs all over Essex, Suffolk, Norfolk and Hampshire. I have performed at a variety of events and venues. From 18th Birthday Parties to 70th Birthday Parties, Weddings, Christenings and more. I have a vast repertoire that can cater for all Audiences. Please take a listen to my music on Soundcloud. You can hear live music from myself there. I also offer DJ packages alongside performances. I use a variety of technology to sound more like a full band - but far more affordable than a full band. I don't use backing tracks. 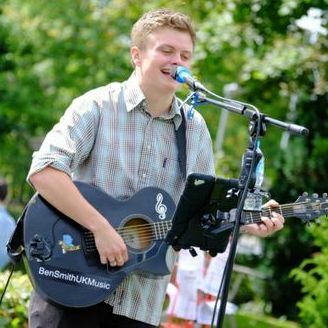 Ben played at our anniversary party and was absolutely brilliant. Highly recommended! Ben played at our wedding this summer. He's very talented and created a wonderful atmosphere that brought the whole day together really nicely. He played a variety of music so there was something for everyone. Definitely recommend. I tend to take a break for every hour of performing. This break is usually around 15 minutes. I am more than willing to learn a song or two for performances, and regularly learn new songs for events such as the first dance in Weddings. Depending on the size of event, I can fit in a small corner of a room if necessary, but with my full lighting rig I do need a few square metres of space. I am covered up to £5,000,000 with Public Liability Insurance and my equipment is regularly checked and updated. Between 2 and 3 hours, and also offer DJ packages.